Scraps and Rags have visited the new Central Park Dog Park before it was officially opened and we have reported on it on a few occasions while going to or coming from the Denville dog park; see 7/22/2010 and 7/23/2010. On this overcast yet delightful Saturday morning, Morris County came together to celebrate the grand opening and ribbon cutting ceremony for the new dog park located in Central Park by Greystone. 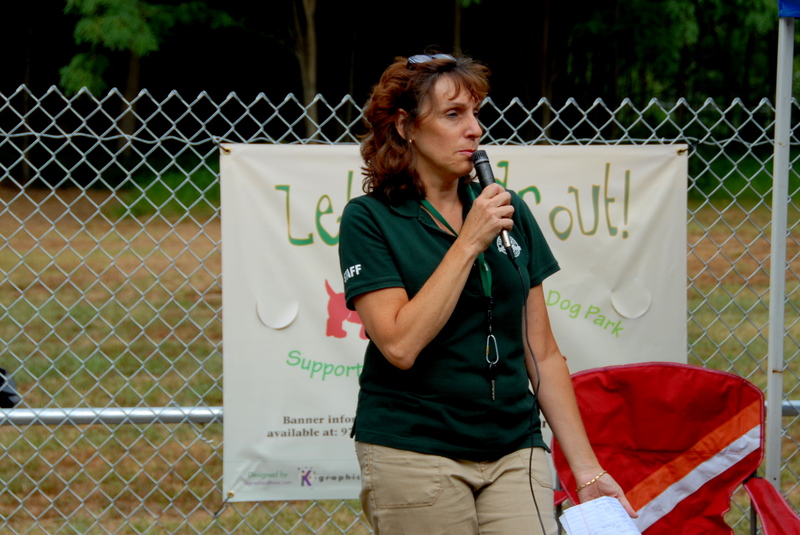 Denise Lanza of the Morris County Park Commission hosted the event with several local dignitaries in attendance as well as a hundred or so people and dogs waiting for the opening of this park. All the dogs leashed in fairly tight quarters during the quick ceremony were all remarkably well behaved. Surrounded by his other “mucky-mucks,” I’m just kidding, dignitaries, Freeholder Director Gene Feyl cut the ribbon on the front gate and Freeholder Deputy Director Bill Chegwidden accompanied his dog into the park. I’m telling you, that dog took off like a bat out of hell running with joy in his step with the freedom a large dog park like this one affords him. The one essential person who was missing from the grand opening was Francis Alai, a.k.a. 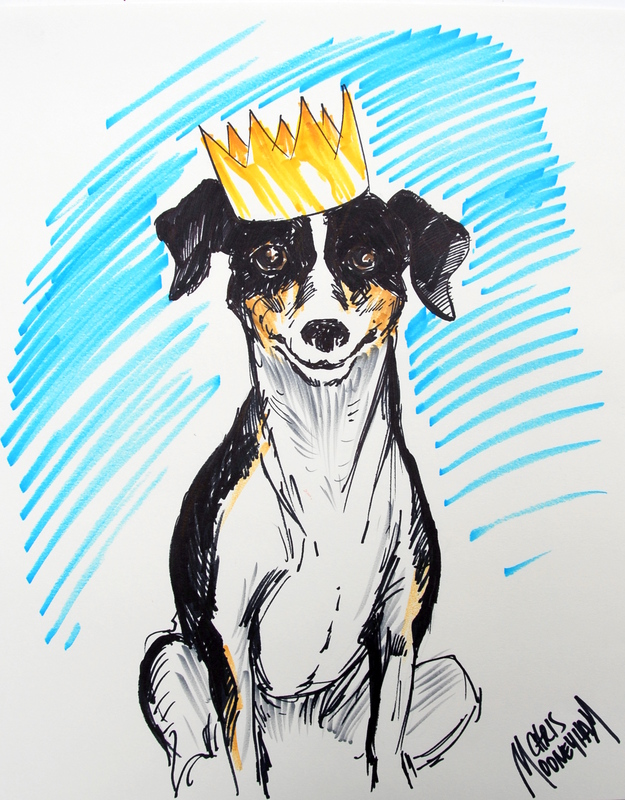 Top Dog. He has been instrumental in getting this dog park going with organizing the local dog community to support the new dog park, coordinating fund raising events and so much more that I can’t even imagine how hard he must have worked to make this a reality. It was a beautiful day and you sense Frank’s optimism shining upon this great event and dog park. 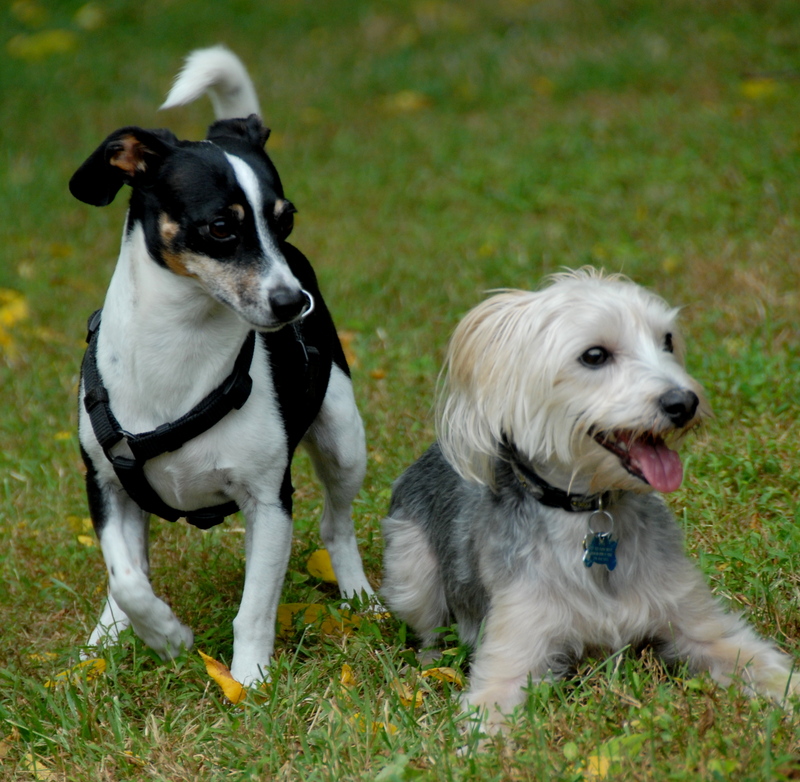 The location of the dog park is on a great piece of property with a natural, shaded and intimate small dog park area. Then there is the expansive rolling grassy steppes of the large dog park area. While the dog park’s man-made amenities are currently limited to a perimeter fence, gates, pop bags, waste receptacles, and a small parking area, the natural beauty of the site speaks for itself. Trees and grass abound and present a comforting natural feeling, but don’t be fooled into a false sense of security, there are also bugs and ticks to look out for so were are going to have to be cautious when going to this park. Unfortunately, I didn’t notice that my camera was set incorrectly until it was too late and most of my photos were not good. Nevertheless, there are a few good one worth looking at. Additionally, I took some good video so we have something to remember this day by. For us, the great thing about the new dog park is it is just over a mile from home. A nice half-hour walk gets us there or a 5-minute bike ride with the dogs riding in the rear gets us there in style with no hills to challenge us. We arrive using bicycles today and it was great! A unique thing about today’s grand opening is that there must have been 75 or so dogs in attendance. This meant once the gates were opened, the fun and frolicking could begin. Once we settled into the small dog park with Scraps and Rags, Scraps began to have a lot of fun with some of the other small dogs. He was having the time of his life chasing one like you rarely see Scraps run, he even got a quick hump or two in. You could tell Scraps was feeling good and was on his game. 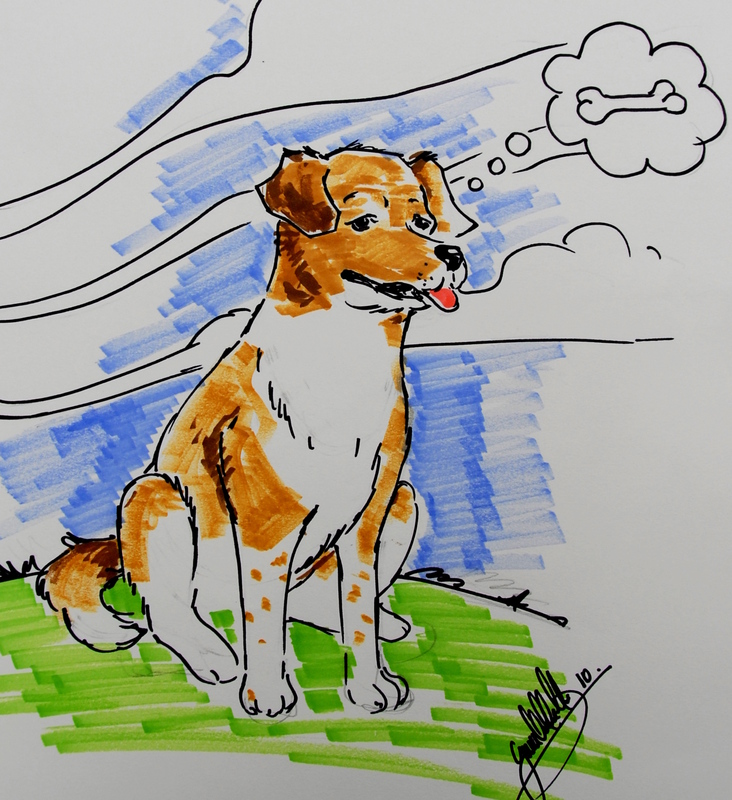 Finally, before we left we took advantage of the offer made by two artists from the Joe Kubert School of Cartoon and Graphic Arts to draw our dogs for a $5.00 donation to the dog park cause, we gave $20 though we have donated before. In any case, we got these two great sketches of Scraps and Rags so that was worth the trip in and of itself. We all look forward to using this new dog park, I’m sure it is going to take time away from our time spent at the Denville Dog Park. Regarding this photo blog, I have decided to join Denville with the Morris County into one, since it keep my own life’s timeline in one place as I will be going to them both. With that stated come join forces with the County Dog Park, you can even head on over, it is free for all, and it will be a free for all, it is just 5 minutes away down the hill and check out the luxurious grass, the ample room and the cooling shade and for now, bring your own water. If you don’t like it, you can always head on back up the hill to the gated community in Denville. Dog Park hopping is now an option. This entry was posted in CentralDogPark, Photo, Picasa, Video and tagged ?-Dog, Champ, Chester, Hershey, Rags, Scraps. Bookmark the permalink. I can’t blame you for heading for the hills. When you are used to the relative security and familiarity experienced in the Denville Dog Park, it’s tough to justify risking playing in the open wilds of Central Dog Park. I wouldn’t give up though since Central Dog Park has some great running room for Coco to potentially run off a lot of stream. Had a great time at Central Park. 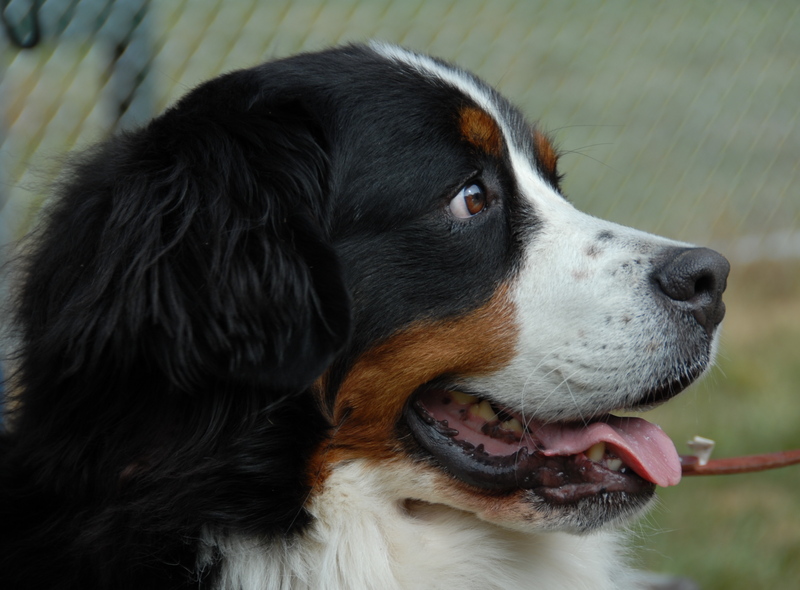 I am from Mount Olive and am a life member of Turkey Brook Dog Park, my dog Champ has made many friends there. He was a little scared when we first arrived he really does not like the car at all. 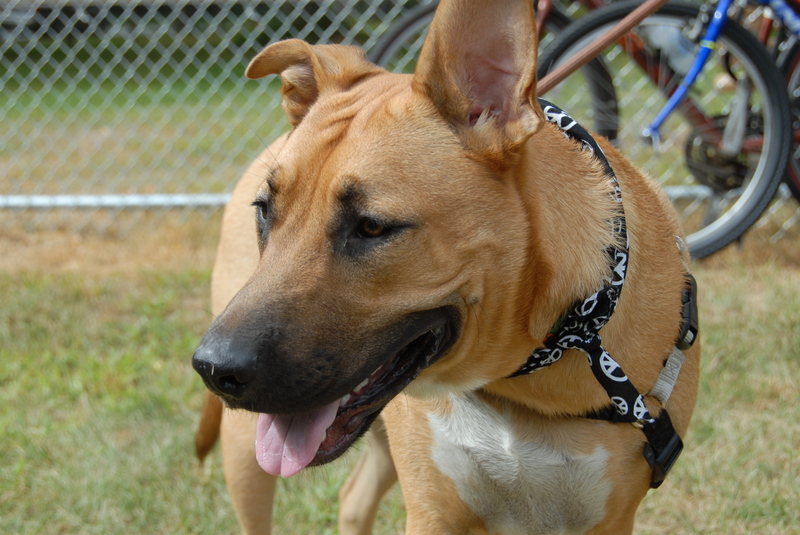 Once he got into the park and was free to romp with other dogs he was fine just a little shy. After romping thru the trails we got a great picture of him that was done by two volunteers at the opening of the park. I would try to go again someday if i knew that other dogs would be there it is aleast a twenty minute ride which is tuff with a non friendly car riding dog. Gotta love the beig goof (103lbs)!!! We are so excited to bring loki to central park this weekend. we have been to lewis morris a bunch of times and even though she always has a great time, i am not a huge fan of the concrete. we live in morris plains so the new park is about 1/2 mile from our house which makes it convenient 7 days a week. loki will probably make her debut sunday, 8/29 around 10:00am so keep your eyes peeled for a very friendly (to both dogs and humans) white mutt! This dog park is a great addition to our community, Loki should love it, and so should you. Bring water. after I cliced submit my comment didn’t show up. Grrrr… well I’m not writing all that over again. Anyhow, just wanted to say superb blog! other authors and practice something from ofher websites.